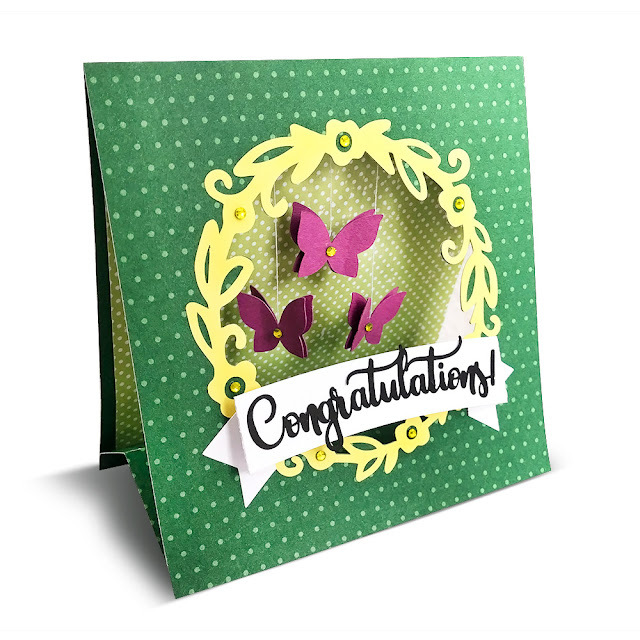 Beautiful card with a window and fluttering butterflies. 1. Cut out all the pieces. 2. Adhere the light green square on the card base. 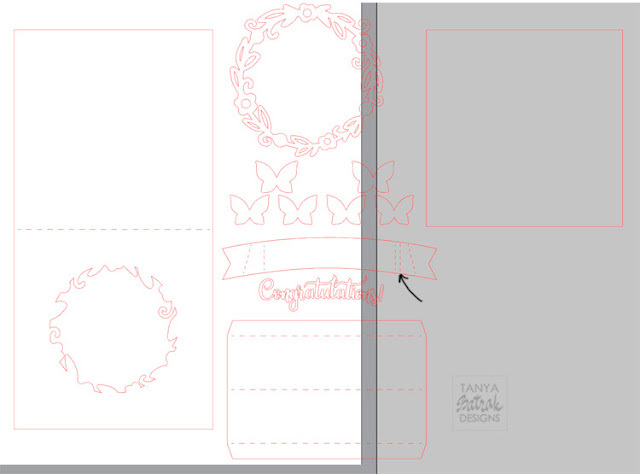 Adhere the one tab of the card inner part. 3-4. Adhere the thread on the butterflies and cover them with another ones. The middle butterfly is bigger than another two. 5. 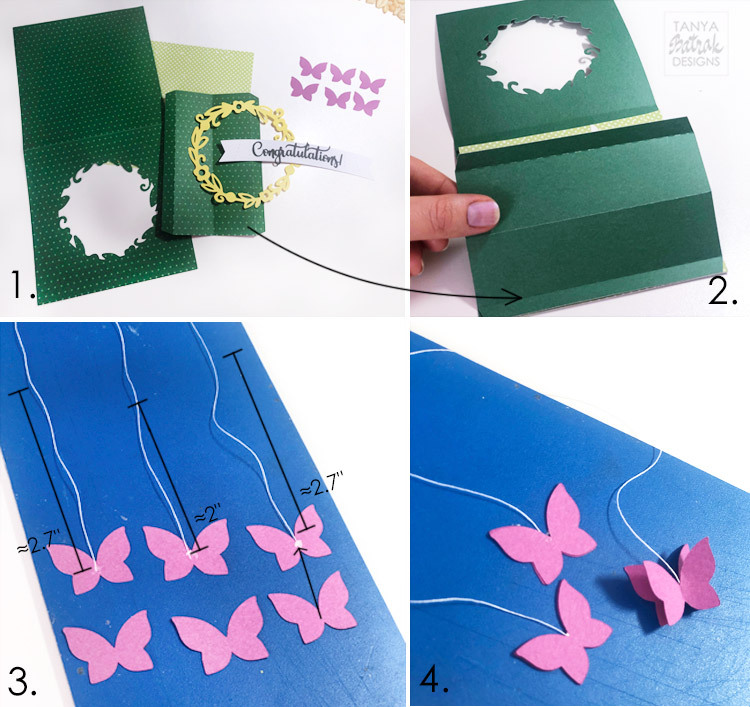 Adhere the threads with butterflies inside the card. Adhere another tab of the inner part. 6. 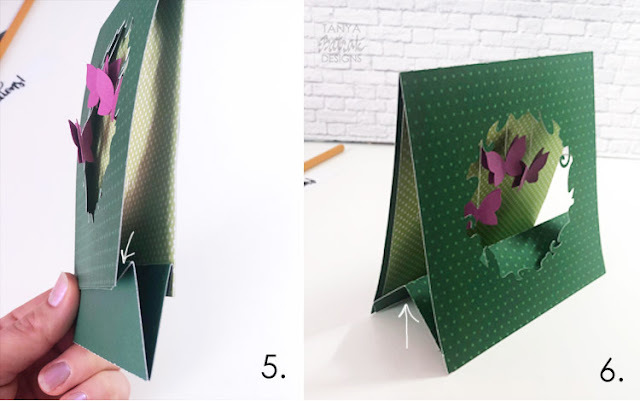 Press the fold line inside the card. 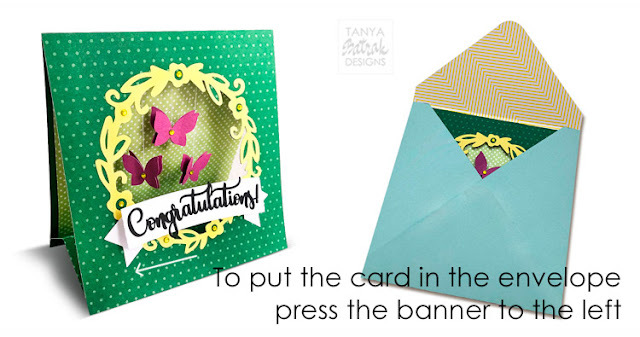 Use this score line to fold the banner and put the card in the envelope.